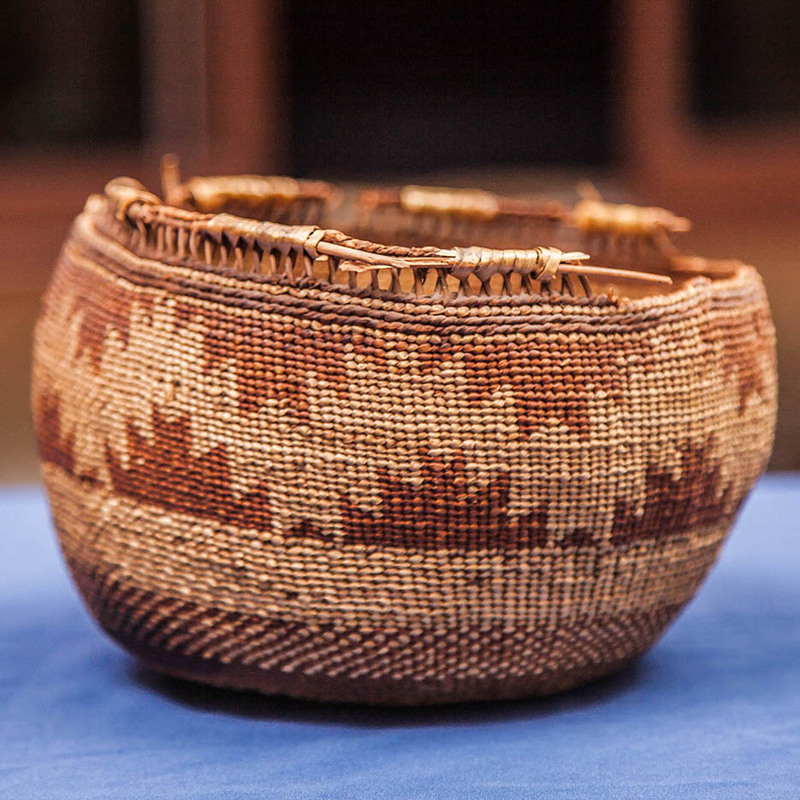 This rare Native American basket was used by Mary Jemison, the “White Woman of the Genesee” who was captured at age eleven in Pennsylvania by Shawnee Indians and Frenchmen, was adopted by the Seneca, and then lived her life as a Seneca in Little Beard’s Town (present-day Cuylerville, in Leicester NY). Displayed among other Native American objects, the basket is likely made from sweet-grass and reeds and colored by the use of plant dyes. It would have been used to hold food and other goods. This basket was donated to the Museum in 1959 by Jessica White Merville who gained possession of it from Mr. Perkins of Leicester, NY. A mortar used in conjunction with a pestle was a common tool used by the Native Americans. 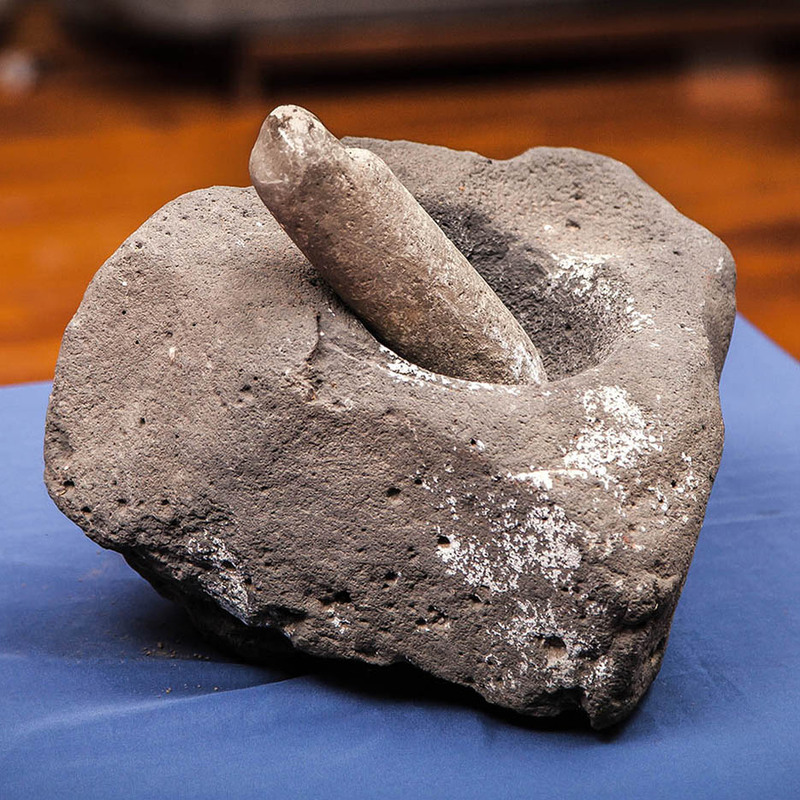 The pestle was used against the mortar for crushing and grinding and were commonly used for meal preparations such as reducing grain and corn into wheat and meal. Mortar and pestles would have also been used in the preparing of medicine as well as the manufacturing of paint.